Bigeye Tuna are generally smaller than Bluefin and larger than Yellowfin, they are also one of the hardest fish to fish for sport, often found many hundred of miles offshore. We do however have some great fishing holiday destinations where Bigeye Tuna can be found. 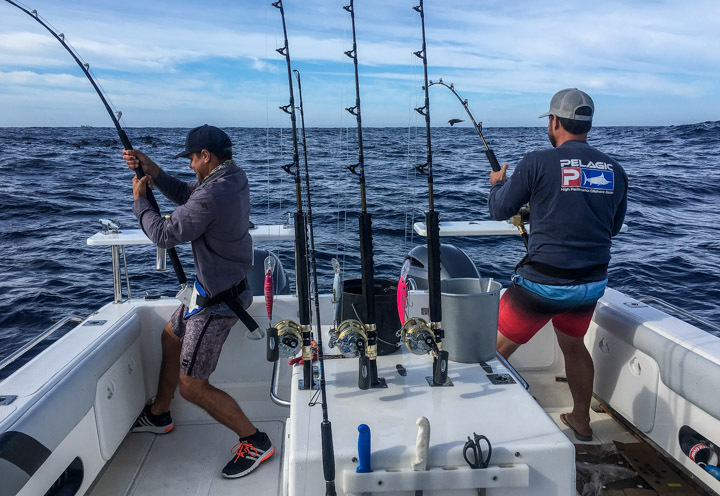 Fishing is normally trolling large lures behind a big game boat, however, if a feeding shoal is found, it is often better to lower down live bait from a stationary boat. Be warned, Bigeye Tuna fight hard and have an amazing amount of stamina.